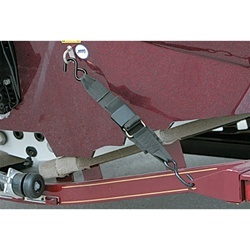 This small overcenter, quick release buckle is strong and durable. 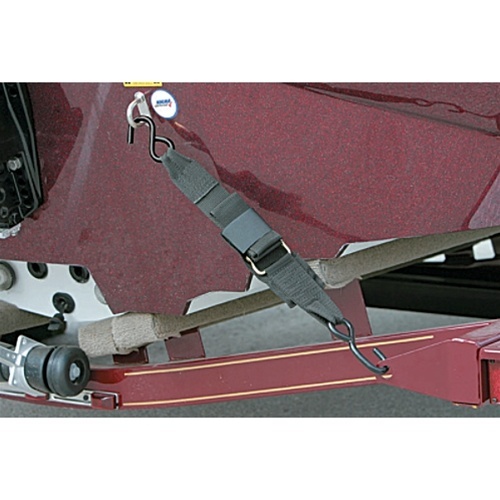 Features an overcenter locking buckle, coated top hook and zinc chromate bottom hook. 2" wide x 4' Long.